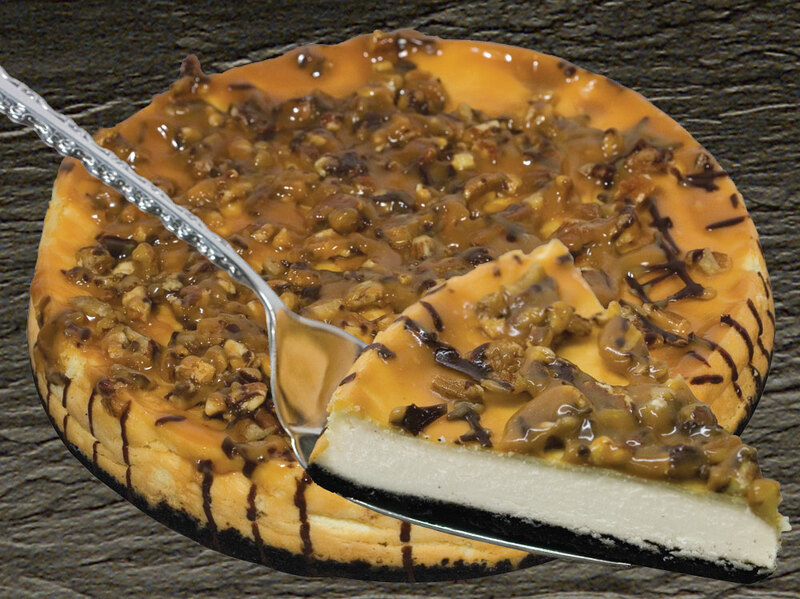 I was given the cheesecake below (see the original picture I took of it) and was told I needed to make it look nice for a brochure. Well, as you know all food for brochures or for displays never look as they appear in the box and that was exceptionally true in this case. 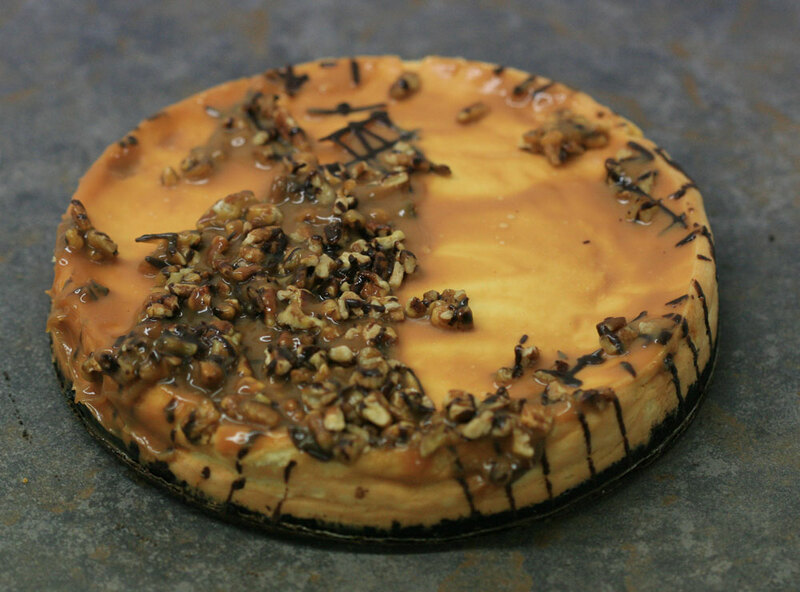 What I did first was take a knife and spread the caramel turtle over the top of the cheesecake. Then, after taking a few image of the whole cheesecake I refroze it and then cut out a slice. Took a few pictures of that and then photoshop for the win!